A2 by Aerosoles® empowers you to feel smarter, sexier, confident, and inspired every moment of your life. They passionately create innovative products with an uncompromising combination of performance, style, quality, & attitude that look and feel great. 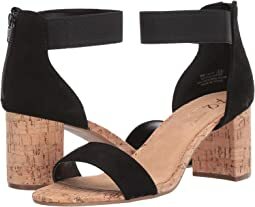 These qualities are reflected in a wide range of shoes, including sandals, flats, and heels that are comfortable, elegant, and understated. 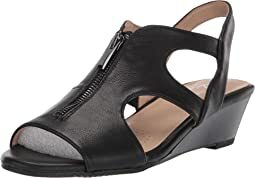 Crafted around quality and comfort, A2 by Aerosoles speaks to the modern woman with work-ready designs that stand up to long days at the office or long walks around town. Their creative, disciplined, and purposeful approach strives to make a positive difference in the lives of their employees, customers, and partners. I returned these shoes. The buckles were larger than they seemed in the illustrations and I felt a bit overbearing. They affected the overall appearance of the shoe negatively, in my opinion. While the shoe was long enough, the toe box seemed narrow for a shoe ordered in a wider width. Overall, not my best choice. Very comfortable, perfect for someone who has had 9 knee surgeries. Found them on another site for 20.00 more! So happy with them. These are so comfortable! I have average to narrow feet, and these fit perfectly. There is no bowing on the sides, and no rubbing anywhere. 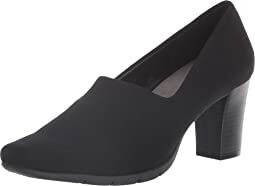 As a matter of fact, the insides of the shoes are extremely soft and smooth, which is something that is not normally the case for me in loafers or flats. 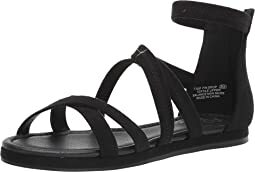 I have very sensitive feet (usually the back slips and rubs or the pinkies get rubbed raw), and these are comfortable in every way. Out of the box, I could walk a mile in these. Seriously. I would absolutely not recommend these in medium width for anyone with wide feet. I'm a 9 in almost everything, and only occasionally a 9.5. I ordered these in a 9.5, as I read the reviews and knew they would have been short in a 9. The neutral snake print goes with EVERYTHING. 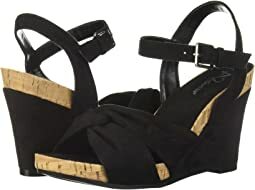 These are cute sandals but they appear to run narrow and small; I'm usually a medium width and the soles of these shoes were not even close - I could feel the edges of the soles bc my feet wanted to hang over the edges! Bought 3 pair and loved this one the most. Too small and I ordered a half size up. Really wanted it to fit, but too tight all around. Where are shoes made these days??? I liked this style because it reminded me of a shoe I bought in years ago and loved. Had this shoe been true to size it would not have rubbed my toe and it would be in my closet. Alas, another goes back because too small. 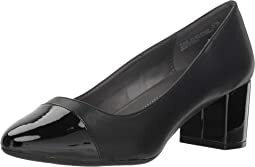 My secretary recommended these shoes for me knowing that I liked the taller feeling heels give. They felt and looked great right out of the box, and if they can be comfy on a man, think how good perfect they will be for women. Fell apart very quickly. Very disappointed. A comfortable good looking shoe. Love this shoe. I was looking for something to wear with tights in the winter time (other than boots.) Looks super cute and very comfortable. These absolutely fit perfectly and seemed like they would be very comfortable. Also loved the style but the snake print was not very convincing. There were only two colors in the print, brown and beige, for an overall read of beige. I needed at least a little black in there to work for me. Inexpensive so did not expect an awful lot, but the leather seemed pretty cheap as well. Too bad because they were well made in general and beautifully proportioned. Love this shoe! Looks great with slacks. Very comfortable fit. Aerosoles' "heel rest" technology works well for me. 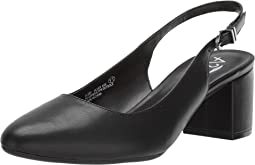 Because of my flat feet, I prefer shoes with a heel. As a business traveler, however, I am always on the hunt for good shoes to wear through the airport. These are perfect. 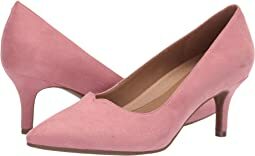 I am get nervous about wearing flats because of the tendency to rub my heels raw. I am happy to report that isn't an issue with these. They're very stylish too! Comfortable BUT straps kept sliding down and toe was a bit cramped. Couldn't keep the straps up so had to return them. Super comfortable as expected from Aerosoles shoes. The rubber soles are what makes it comfortable. Although I had to go down 1/2 size from my usual size. I usually wear a size 10-10.5 shoe. I tried this shoe in a 10.5 (too tight in toe) and also in an 11(too big). It’s a cute shoe and I was sorry to return them. I love this shoe style! It gives a great look, especially wearing leggings. 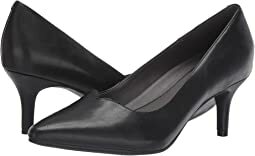 I love the stretch fabric, sleek look, and chunky heel that adds to the comfort of these shoes. 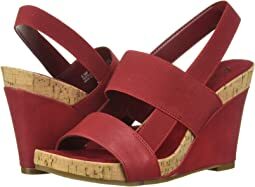 This shoe gives me the height, comfort, and modern look I love. Hope these never go out of style!! 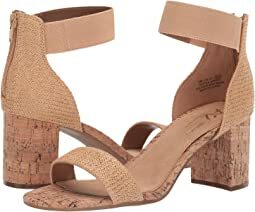 Very cute shoe and a good price, but not as comfortable as Aerosoles. The patent leather toe isn't very forgiving, so it pinches my foot. I'm not returning these, but will just be prepared when I wear them that they're not the most comfortable shoes I own. 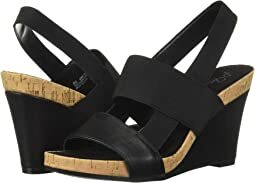 I would dearly love to wear these shoes but my flat feet cause the sides to gap. Sometimes with a slight heel a shoe will work, but not this pair. Sadly, they are going back. The toe was very narrow.